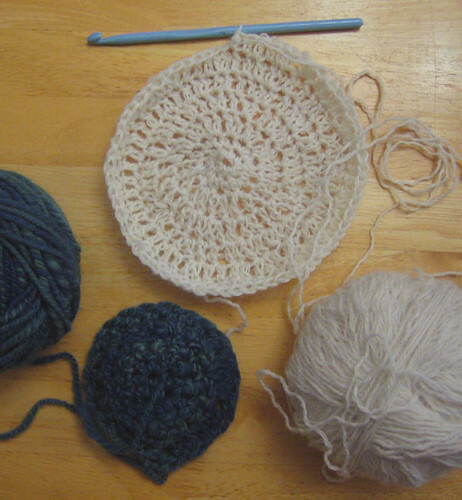 I am VERY excited, because I’ve finally begun to learn how to crochet. A friend from my knitting group is kindly teaching me. Below are my first attempts – the white alpaca will be a floppy hat, and I’m not sure about the green yet.